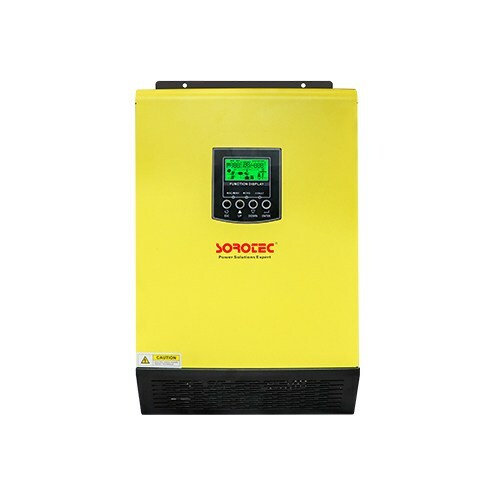 In solar inverters, there are parasitic inductances which are harmful to power switching devices. They are stray inductances. Stray inductance will increase with the increase of current, the size of connecting wire and the distance. In the process of IGBT switching off, voltage spikes will occur due to the sharp decrease of current. There are several risks: First, IGBT will be overvoltage. In the case of high current, it is necessary to use IGBT with higher voltage level, but the device with higher voltage level will lose more and cost more. Secondly, voltage spike will also bring additional switching loss, which will reduce system efficiency and increase cost. The positive and negative terminal directions of capacitors are consistent with the current directions, and the distance between capacitors and power devices is as short as possible, the distance between the positive and negative poles of the stacked bus is as short as possible. The distributed inductance of the line is reduced by the parallel distribution of the positive and negative electrodes, which reduces the reverse peak voltage at both ends of the power element, reduces the requirement of the power device for the voltage protection absorption circuit, improves the reliability and stability of the operation of the power device, and improves the integration of the circuit so as to facilitate maintenance. Absorbing capacitors play a similar role in the circuit to low-pass filters, which can absorb the peak voltage. Usually used in insulated gate bipolar transistor (IGBT), eliminating the peak voltage caused by busbar stray inductance, avoiding the damage of insulated gate bipolar transistor. The power module uses special technology to integrate and package multiple components together, which ensures the shortest distance between components and reduces the distributed inductance of the circuit. To reduce stray inductance, medium power group series inverters usually adopt the scheme of power module and centralized inverters, usually adopt the scheme of stacked bus and absorbing thin film capacitors.